Subarachnoid pain alleviation is a method in which opioid and topical anesthetics are injected into the subarachnoid space, which in Japan is used to control cancer pain. Compared to the systemic administration of opioids, a reduced amount of the drug is required to obtain clear pain relief with fewer adverse effects, such as drowsiness. 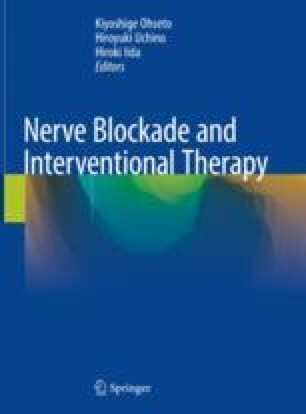 Achieving long-term continuous pain relief with subarachnoid opioid injection is also possible by embedding a catheter with an access port into the patient, which is a useful technique in the home care setting.